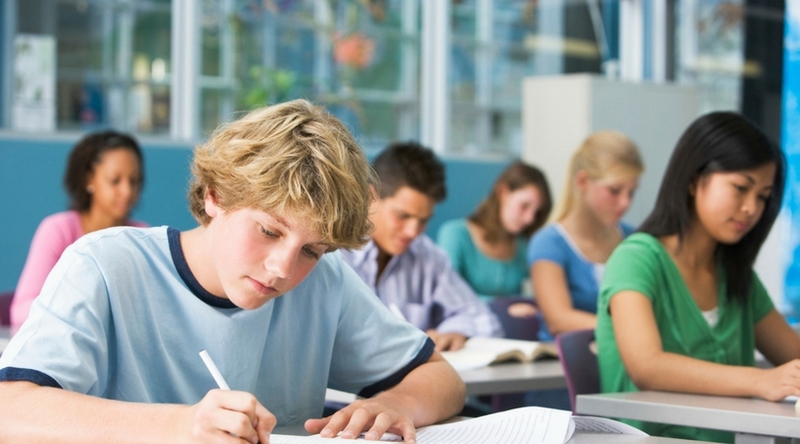 At the formative ages of 11 to 13, a student should learn more than just what’s in the books. These children are at an age where they’re still in an age where they are easily influenced by external factors and the people around them, but at the same time, they’re more likely to be more mature and understand complex situations more than the ordinary child. If you want your students to be morally upright citizens, you need to teach them more than what is provided in the textbooks. Since school bullying is still prevalent in many schools, students must understand the importance of their voice and how they must be willing to stand up and intervene for a student that is visibly being bullied by a bully. This lesson plan is merely a rough draft of what you ought to do when teaching middle school students about bullying interventions. It is up to you what you choose to do and how you plan to lecture your students on bullying. This lesson plan is suitable for middle school students aged 11 to 13. Choose to be involved instead of a neutral bystander. This worksheet gives you an insight as to how your students initially react to situations where bullying is present – but the bullying is towards a stranger or an acquaintance. This activity is formatted as multiple choice, but feel free to turn it into a worksheet where they can write down their reactions to fully express their intent. With multiple choice, you can see how many children opt to intervene or not and see the general consensus of their answers. For free-writing formats, you can ask them to share with the class what they wrote down. ACTIVITY: WHAT WOULD YOU DO? Instruction: Circle the choice which would most likely be your actions if you are faced with these scenarios. There is no right or wrong answer; try to answer as honestly as possible. You’re browsing through Facebook when you see your classmate Charles sharing a Photoshopped photo of your other classmate, Amy, whose head is edited on top of a gorilla’s body. Amy does not find this funny and, in the comments, asks Charles to take it down, but he ignores her request. Continue scrolling through Facebook and let them sort out their quarrel. Privately message Charles asking him to delete the photo. Like Charles’ photo and move on. You hear rumors that your classmate, Carly, does not bathe. When she is not around, you can hear people talking about her. What do you do? Tell everyone talking about her to stop. Report the rumor to your teacher. Simply ignore the rumor, but do nothing to stop it. Your classmate, Anthony, has a mild learning disability and learns math at a slower pace than you and your other classmates. Every time he asks a question, his classmates mock him without catching Anthony’s or the teacher’s attention. Say nothing to Anthony or the teacher. Quietly shush your classmates and tell your teacher privately after class. On your school bus, Micah teases Tyler every day because he lives in the poorer side of town. The bus driver constantly tells Micah to behave, but he only does so for a few minutes before making jokes about Tyler again. Keep quiet throughout the ride. Report Micah to school authorities. Make fun of Micah for being ugly. You are in the locker room when a group of older students ask you to leave. They intend to violently prank a student inside the room. Warn the victim about the older students’ intentions and leave. Find a teacher to stop them. Your classmate, Nico, calls your chubby classmate, Patty, “Fatty Patty.” You notice she does not eat her packed lunch ever since Nico and his friends call her that. Dump your food on Nico. Sit away from Nico during lunch time. Tell Nico and his friends to stop making fun of Patty. Your students’ answers can say a lot about their behavior when they encounter a bullying scenario they aren’t necessarily affected by. Some of your students may honestly say that they can choose to do nothing because they don’t want to get involved. Don’t vilify these students, as you did ask for their honest answers and want to assess their own situational reaction. After all, this module is meant to change attitudes like these into a more positive, pro-active approach. In some cases, such as questions 3, 4, and 6, you may find that your students have tendencies to fight fire with fire. While the intentions are noble, this is not the right way to solve bullying. By punching bullies or taunting them the way they taunt their victims only make your students the bully in return. It may even lead to a physical confrontation between the student and the bully. There is a more effective approach without having to resort to the bully’s level. Questions 2 and 5 may look like they both have answers where the situation shows the student taking the initiative to help the bullying victim. But look closely: one answer takes the initiative to help the victim, but it won’t necessarily solve the problem. You could tell off a group of people you hear making fun of Carly, but that won’t stop everyone else from continuing to spread the rumor. You could also warn the student about the upperclassmen’s intentions, but that doesn’t guarantee that he’ll make it out safely. In both cases, calling a teacher’s attention not only protects the victim, but it also punishes the bully. By this point in their age, your students may already be aware of what bullying is and how to spot it. Since this lesson plan focuses on recognizing bullying in others, focus more on showing the signs of bullying and its effects. These videos make good supplementary material when discussing about bullying. The best thing to do when your student sees a bullying situation is to avoid being a bystander. When they see a bully hurting their victim, a bystander ignores them because the action does not involve them in any way. By choosing to be neutral and side with anyone, however, your student is siding with the bully by allowing them to continue. Sympathetic: That poor kid is being bullied. He must be sad. I feel sorry for him. Empathetic: That poor kid is being bullied. If I were bullied, I would want someone to be at my side and help me. But if I want help, wouldn’t that kid want help too? What if I needed help against a bully and someone else chose not to help me? By showing empathy, your students have a deeper recognition of the bullying victim’s emotions. They understand what the victim is feeling and what they would have done in their situation. And if your student needs help if they were in the victim’s shoes, wouldn’t it be the right thing to do if your student provided help to the bullied victim? Sometimes, your student doesn’t have to call a teacher to stop a bully, and they can easily do it themselves. However, in some cases, confronting a bully may jeopardize your student’s own safety. While they’re in middle school, it’s best to err on the side of safety and tell them to call a teacher if they feel like the bully may set their sights on your student. If they grow older and brave enough to separate a bully from their victim, they can do so. However, never let your student think that violence fights violence, and stopping a bully requires giving a bully a taste of their own medicine. If a bully makes jokes about their victim whether or not the victim is within earshot, don’t laugh at their jokes. Don’t encourage the bully to continue. This includes adding quips that prompt the bully to add extra jokes. Don’t act interested and don’t participate. Make the bully recognize that what they’re doing is wrong. Ignoring the bully completely, focusing on the victim, and leading the victim away lets the bully know that what they’re doing is socially unacceptable and they will be ostracized for this. If everyone did this, the bully would feel isolated by their actions and may try to change. Don’t be an audience to the bully. Befriend the victim and offer your support. 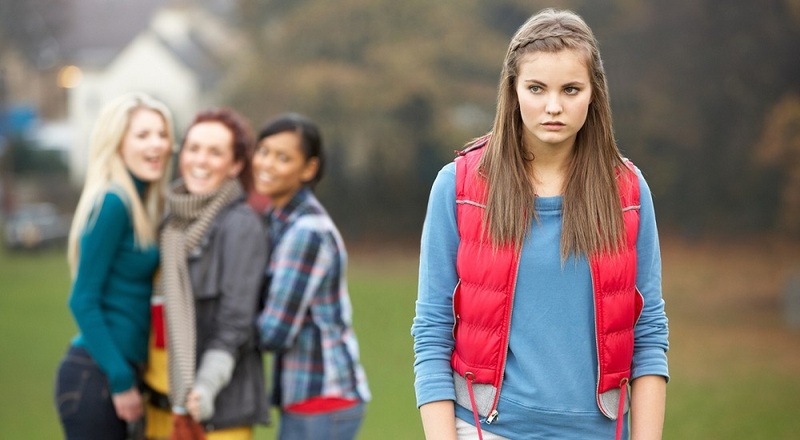 If bullies try to isolate the victim, invite them to join you and your friends. If all else fails, encourage your students to tell a teacher. Some students may be hesitant to tell school authorities for many reasons. Maybe the bully is a teacher’s pet but secretly mean to the students. Maybe the bully’s parent is a high-ranking member of the PTA and their parent has a reputation of getting their child to walk away unpunished. Maybe the bully has blackmail material against the student if they tell. It’s even possible that the bully may be a teacher or a staff member with a good relationship with the principal. In any case, you need to let your students know that an adult – whether a teacher, the principal, or even their parents – can help stop the bully. The bully is only one person. Against the authorities and everyone around any one of your students, the bully can be punished for their actions and can be told to stop or stay away from the bullying victim. If the victim is too scared to tell, your students must be willing to work with the victim to tell an adult. Depending on how your lecture goes and how you finalize your lesson plan, you may want to offer your students the chance to talk to you about bullying they may be secretly experiencing. If they can talk to you privately after class or have the access to email you, you can tell them to contact you. While it’s good to intervene on visible bullying, don’t force your students to intervene on bullying even if it’s at the cost of their own safety. If a bully has violent tendencies, contact a teacher instead of trying to get in the middle of a brawl. Emphasize the importance of knowing when to stand up to a bully and when to analyze a situation and recognize when it’s dangerous. If there is still additional time, you may have an open forum with the students talking about the dynamics of the class. This may be a great time for students to air out their feelings towards their classmates. This can be a great way to bond with your class and get them to work better as a class. As early as middle school, students should be picking up lessons from school, including lessons outside of any textbook. Teaching your students not only to recognize bullying happening to themselves but also to students around them not only fosters empathy, which is important if you want your students to grow up to become kind and caring individuals. Do not teach them to bully a bully. Instead, teach them how to save a bullied victim from their bully and convincing them to report their case to someone with the power to stop a bully.